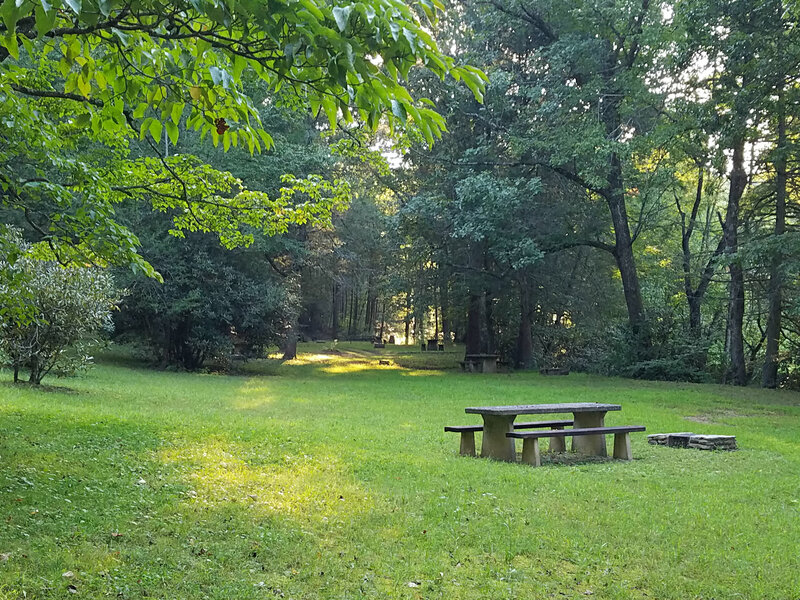 The Old Fort Picnic Area on a summer day. Nature trail starts at the far end. 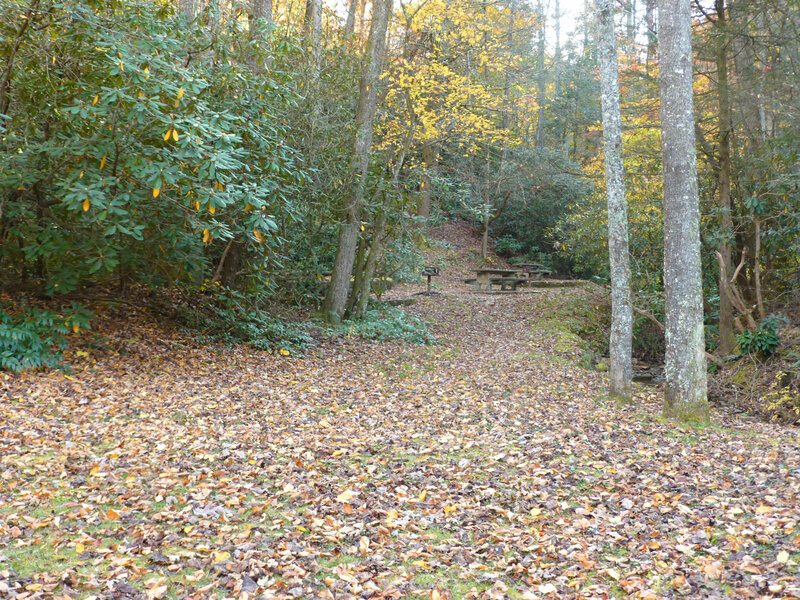 The Old Fort Picnic Area is part of Pisgah National Forest and is located at the intersection of Mill Creek Road (the paved portion) and Old Hwy 70. From the Inn on Mill Creek, turn right out of the driveway and then right again 1.5 miles later at the T-intersection to stay on Mill Creek Road. In 2 miles, you will be at the next T-intersection, which is Mill Creek Rd and Old Hwy 70. Go across Old Hwy 70 and voila, you’re at the entrance to the picnic grounds. The picnic grounds are expansive, with plenty of tables. You can take a little bridge over part of a meandering tributary stream and on the left, you’ll see the sign for the Youngs Ridge Trail. Mountain biking enthusiasts and hikers will be familiar with the Old Fort Picnic Area as the exit point of the four-mile Kitsuma/Youngs Ridge trail. 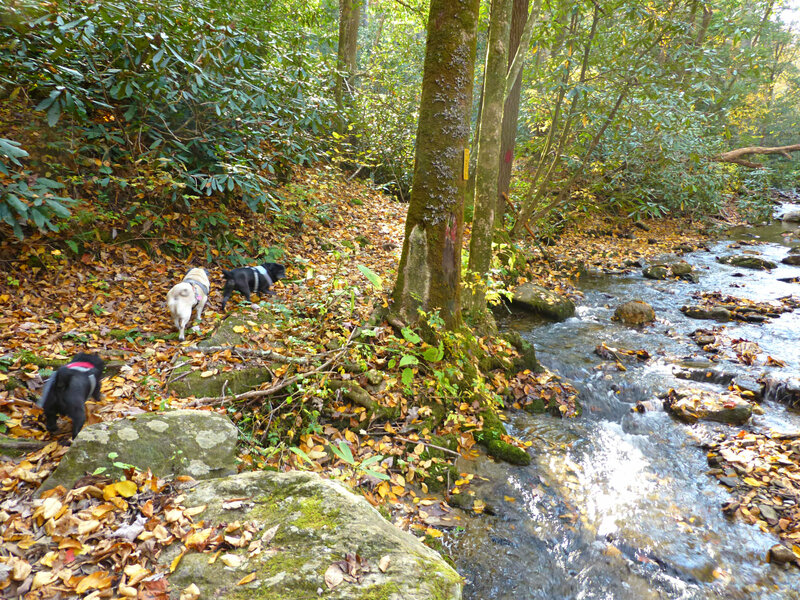 But there is another, shorter (1/3-mile) footpath that loops around the far side of the picnic grounds where you can get up close with nature: tall hemlocks and deciduous trees, sizable clusters of holly and rhododendron, moss-covered rocks, a babbling Swannanoa Creek, and more. The trail leads along the creek then turns in a wooded area and leads you up in elevation a little ways, looping back on a higher portion of the trail. A set of stairs returns you back down to the picnic grounds at the end. 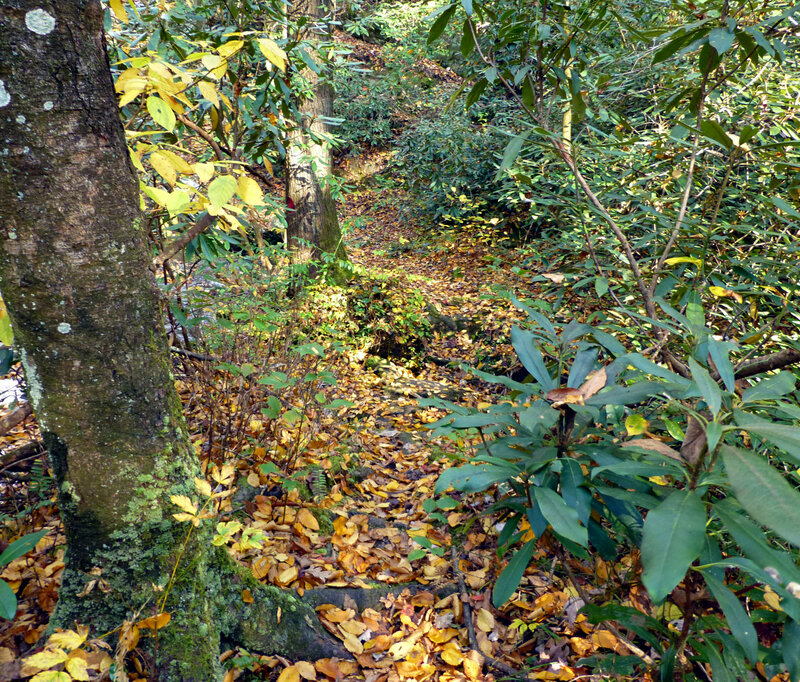 This entry was posted in Hiking and Waterfall Trails and tagged hiking, Old Fort, outdoors by Inn on Mill Creek. Bookmark the permalink.